This report sets out to examine the social and gender footprint of large-scale electricity generation, transmission, and distribution projects to establish a foundation on which further research and replication of good practices can be built. The World Bank Group (WBG) portfolio review provides guidance on how to operationalize good practices and lessons learned to move the energy-gender agenda forward. 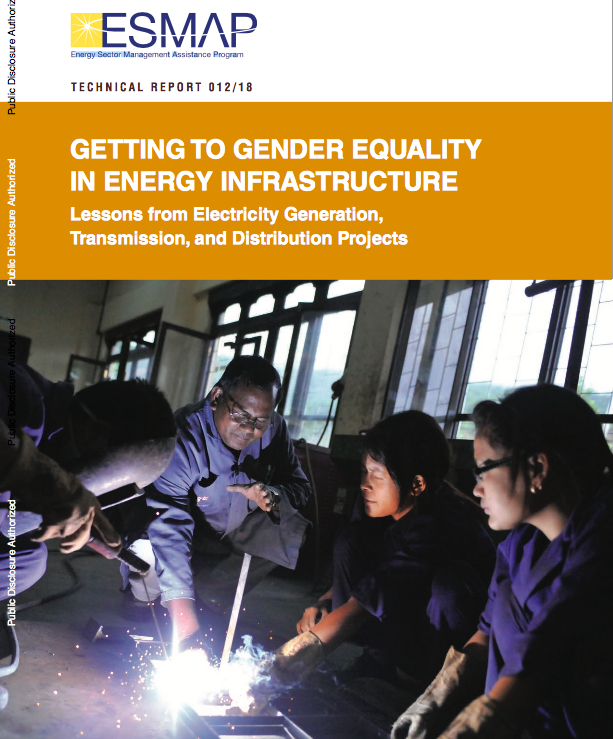 The study’s primary audiences are energy task teams and social and gender specialists of the WBG and other development agencies, along with energy practitioners seeking better ways to address the gender aspects of energy infrastructure projects throughout the project and lending cycles.